Updating laws that date back 20 years, the commission hope it will provide a safety net for artists who are losing money by people sharing their content online. 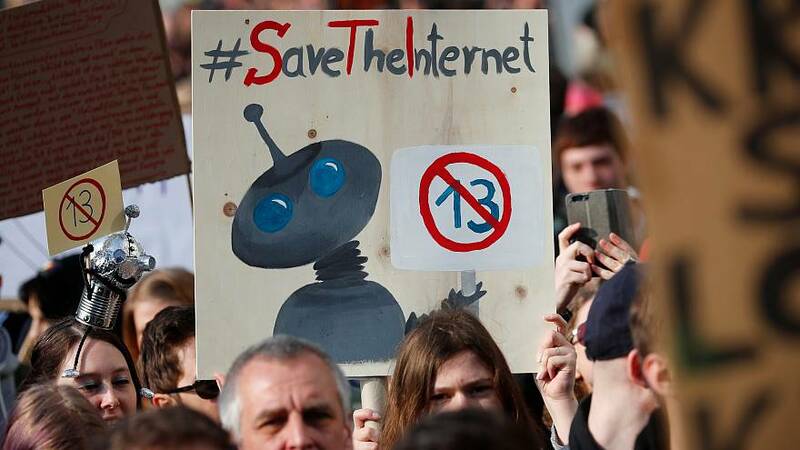 Article 13 could mean sharing platforms such as Google, YouTube, and Facebook's Instagram would have to take more responsibility for copyrighted material being shared illegally on their platforms. That means they would be liable if their users upload or publish unlicensed content, such as photos, videos, source code or music, on their website. Such actions would require a licence fee to be paid, or for the content to be pre-filtered or automatically censored. Critics say the filters are expensive and could lead to erroneous blocking. Wikipedia meanwhile has said the EU rules would police all platforms, which could harm free expression. But some artists have voiced their support. Film director Pedro Almodovar and singer Debbie Harry are among some of those who favour Article 13. And it is not the only controversial issue. Article 11 is also in the firing line. Dubbed the ‘link tax’, this would force news aggregators like Google and Facebook to buy a licence to publish links to news organisations and extracts from their stories. But after snippet taxes were introduced in Spain and Germany in the past, publishers reported plunging traffic to their sites. European publishers have criticised Google's lobbying campaign in Brussels. While Google has doubled down, saying it may have to pull its news service from Europe entirely.